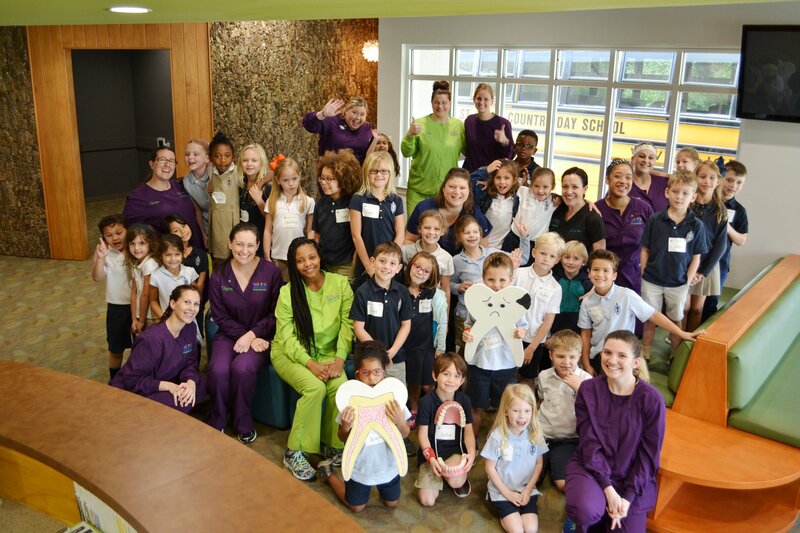 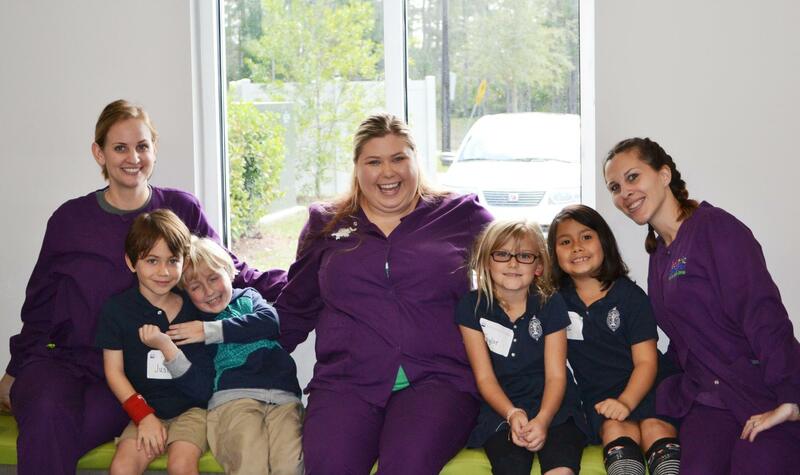 We had a super fun visit by the 1st graders from St. Johns Country Day School! 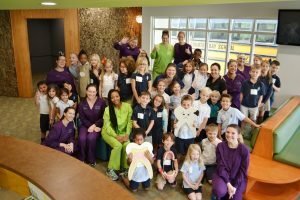 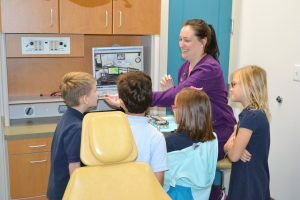 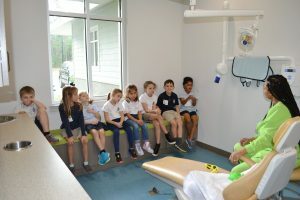 They learned about what visiting the dentist is like, how healthy food and drink are important and how to take care of their teeth. 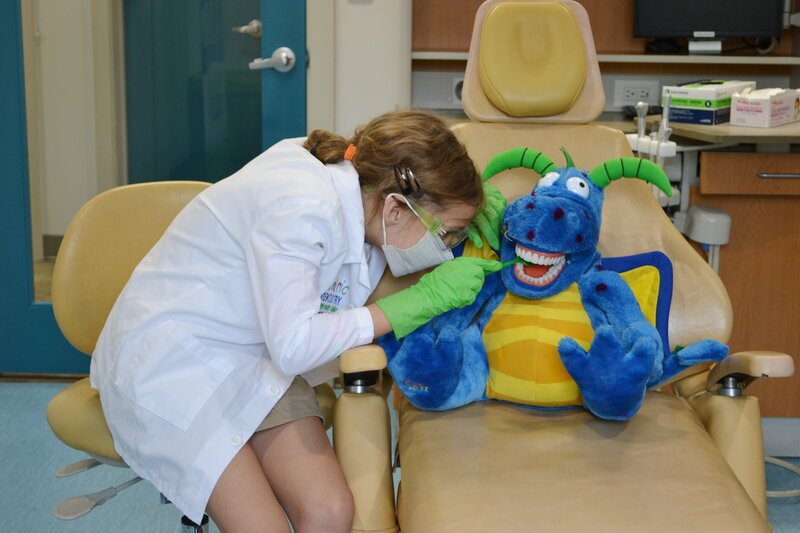 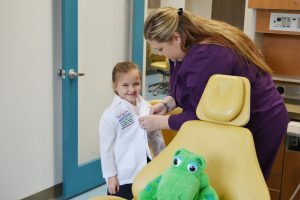 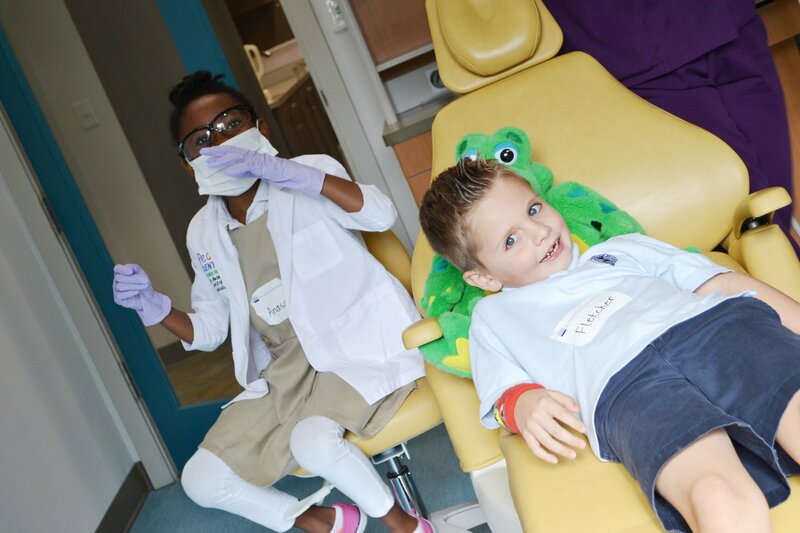 They even got to dress up as a dentist and clean our dinosaur’s teeth. What an amazing bunch of kids they are! 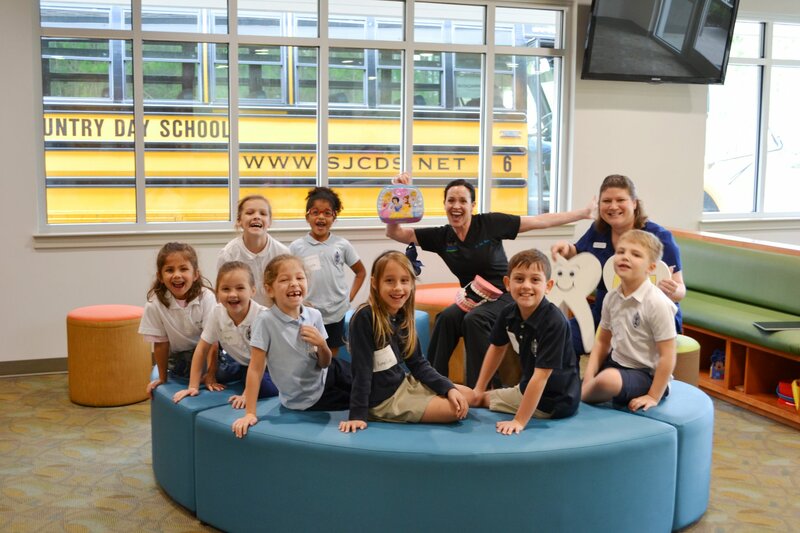 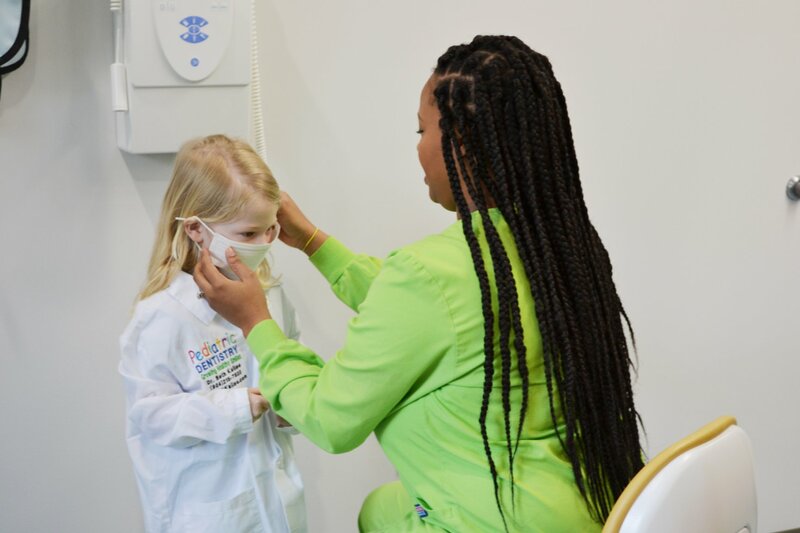 If you are interested in scheduling a school field trip or would like us to visit your school, you can fill out our Complimentary School Presentations form here, or call us at (904) 215-7800. 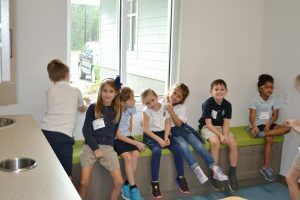 Here are a few photos from their field trip. You can view even more on our Facebook Page.